264 a.k.a. Butyric acid, also known under the systematic name butanoic acid, abbreviated BTA, is a carboxylic acid with the structural formula CH₃CH₂CH₂-COOH. Salts and esters of butyric acid are known as butyrates or butanoates. Butyric acid is found in milk, especially goat, sheep and buffalo milk, butter, Parmesan cheese, and as a product of anaerobic fermentation. It has an unpleasant smell and acrid taste, with a sweetish aftertaste. It can be detected by mammals with good scent detection abilities at 10 ppb, whereas humans can detect it in concentrations above 10 ppm. 264 a.k.a. White Wolf Publishing was an American roleplaying game and book publisher. The company was founded in 1991 as a merger between Lion Rampant and White Wolf Magazine, and was initially led by Mark Rein·Hagen of the former and Steve Wieck and Stewart Wieck of the latter. Since White Wolf Publishing, Inc. merged with CCP Games in 2006, White Wolf Publishing has been an imprint of CCP hf, but has ceased in-house production of any material, instead licensing their properties to other publishers. The name "White Wolf" originates from Michael Moorcock&apos;s works. written works: "The Tome of Horrors II", "Sorcerer And Savant", "Ventrue Dark Ages Clan Novel", "Dark Ages: Hallowed Ground", "Aspect Book: Fire", "Vampire Requiem Bk Retail Disp", "Dark Ages: Tzimisce", "Dark Ages: Brujah Chronicles", "Houses Of The Bull God", "Orpheus the Orphan-Grinders", "Order Book: Gabrielites", "Dark Ages: Italy (DARK AGES VAMPIRE)", "Road of Humanity (Dark Ages Vampire)", "Exalted: Fair Folk (EXALTED)", "Monster Mayhem", "Damned and Deceived", "Houses of the Fallen"
nominated to ENnie Award for Best Cover Art - "Scion: Ragnarok"
nominated to ENnie Award for Best Writing - "Hunter Horror Recognition Guide"
nominated to ENnie Award for Best Rules - "Hunter: The Vigil"
nominated to ENnie Award for Best Adventure - "The Rose Bride's Plight"
nominated to ENnie Award for Best Monster or Adversary - "Night Horrors: Grim Fears"
nominated to ENnie Award for Best Supplement - "Scion: Ragnarok"
nominated to ENnie Award for Best Supplement - "Hunter: The Vigil"
nominated to ENnie Award for Best Aid or Accessory - "Hunter Horror Recognition Guide"
nominated to ENnie Award for Best Regalia - "Hunter: Deadly Prey"
nominated to ENnie Award for Best Regalia - "Art of Exalted"
nominated to ENnie Award for Best Electronic Book - "Collection of Horrors: Razor Kids"
nominated to ENnie Award for Product of the Year - "Hunter: The Vigil"
nominated to ENnie Award for Product of the Year - "Scion: Ragnarok"
nominated to ENnie Award for Best Free Product - "Hunter: The Vigil Quickstart: The Hunt"
nominated to ENnie Award for Best Setting - "Goblin Markets"
nominated to ENnie Award for Product of the Year - "Geist: The Sin-Eaters"
264 a.k.a. Steamin' Demon: Steamin&apos; Demon is a steel roller coaster located at Great Escape in Queensbury, New York. 264 a.k.a. Vitamin A deficiency is a lack of vitamin A in humans. It is common in poorer countries but rarely seen in more developed countries. Nyctalopia is one of the first signs of VAD. Xerophthalmia, keratomalacia, and complete blindness can also occur since Vitamin A has a major role in phototransduction. 264 a.k.a. Gullah Gullah Island is an American musical children&apos;s television series that was produced by and aired on the Nickelodeon network from 1994-1998. The show starred Ron and Natalie Daise, who also served as the cultural advisors, and was inspired by the Gullah culture of Ron Daise&apos;s home of St. Helena Island, South Carolina, part of the Sea Islands. 264 a.k.a. WWVW-LD is an LPTV station located in and licensed to Wheeling, West Virginia. The station is licensed to Abacus Television which owns a chain of LPTV stations in the Pittsburgh, Pennsylvania area. WWVW-LD airs Jewelry TV full-time. 264 a.k.a. Hamish Macbeth - Season 3 is a tv season. 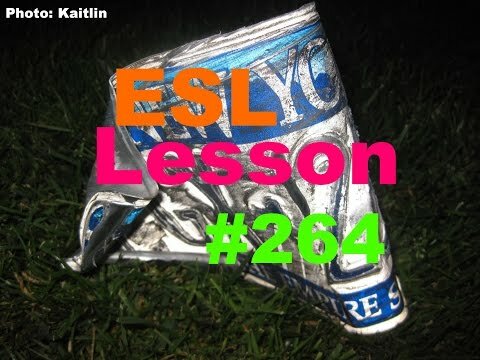 Go to the pronunciation of 264 to learn how to say it correctly!